Washing our makeup brushes is like eating healthy and exercising. We know we're supposed to do it often, but sometimes, slacking off just sounds like a more alluring option. That's because cleaning our brushes is a TASK—we run them under the sink, massage in some soap, keep scrubbing until the water runs clear, then let them dry overnight. It's an occasion we practically need to set a calendar reminder for. But since makeup brushes need to be cleaned and sterilized frequently, why is it so daunting? Good news—it doesn't have to be. With all of the different quick and effective cleansers available, cleaning your brushes is as easy as spritzing, wiping, or even placing in a miniature washing machine (more on that later). 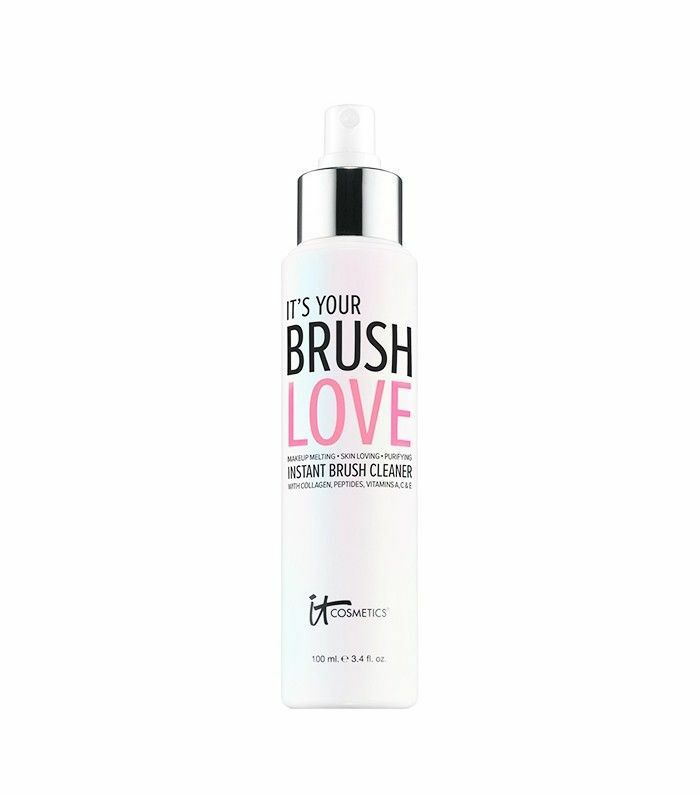 Keep scrolling to find out how to make your brush care routine a breeze! Dry shampoo for your brushes? Yep, it exists. All you need to do is spritz on a few short bursts directly onto your brushes, then swirl it on a tissue or paper towel to rub off the excess product. 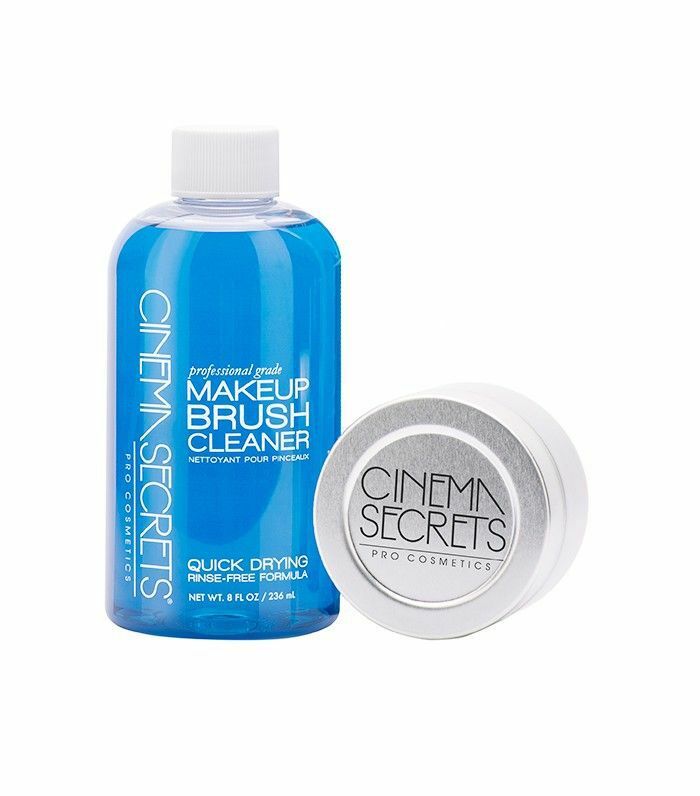 Cinema Secrets is a cult-fave brand in the industry, and for good reason. 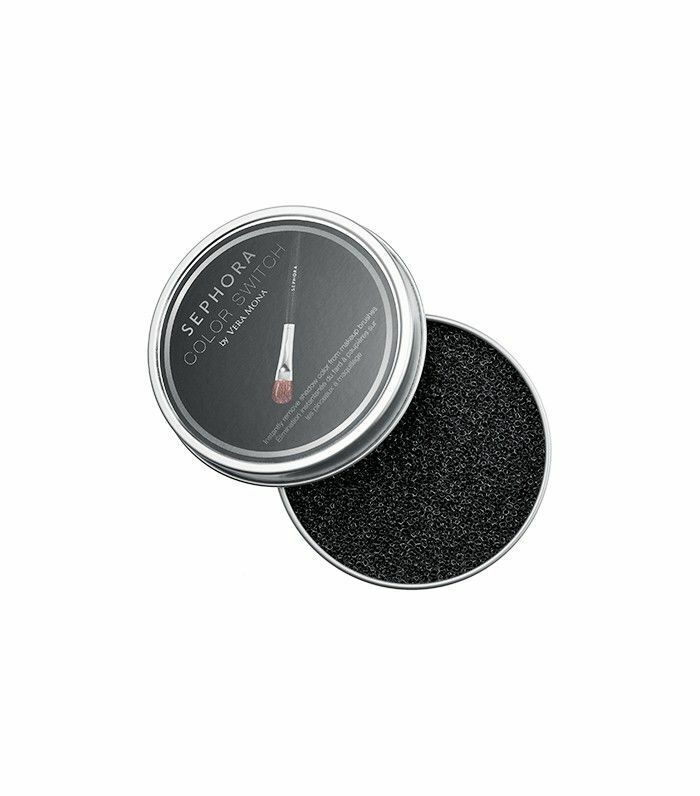 Often used backstage, this brush cleaner can be poured into the accompanying tin, and afterward, you can swirl your brush around the liquid before dabbing off the excess product on a cloth. When you're done, reshape the brush and let it air dry. 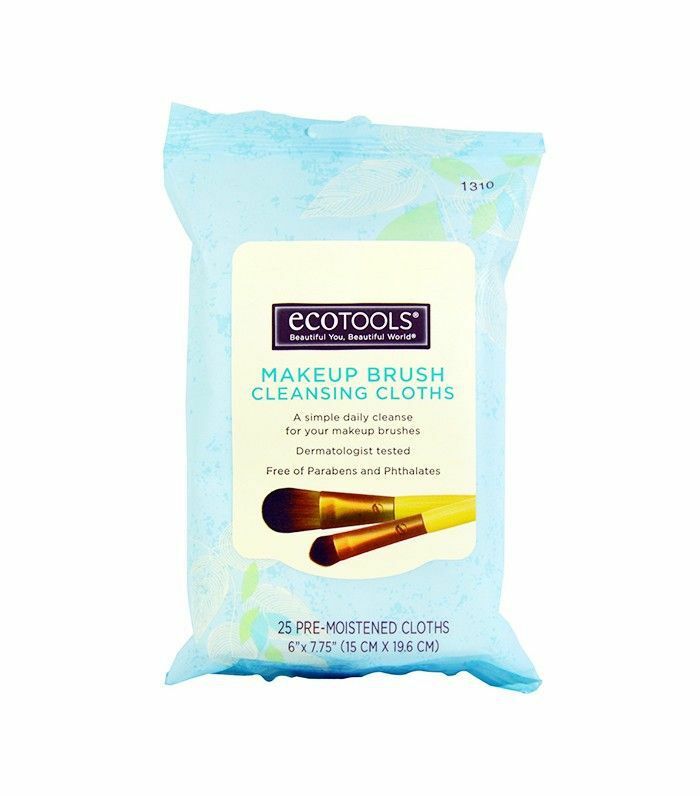 Just like a makeup-removing wipe serves as a good lazy-girl way to wash your face, makeup removing cloths for brushes are an insanely easy way to remove germs, debris, and caked-on powders. Think of this as a mini washing machine for your brushes. 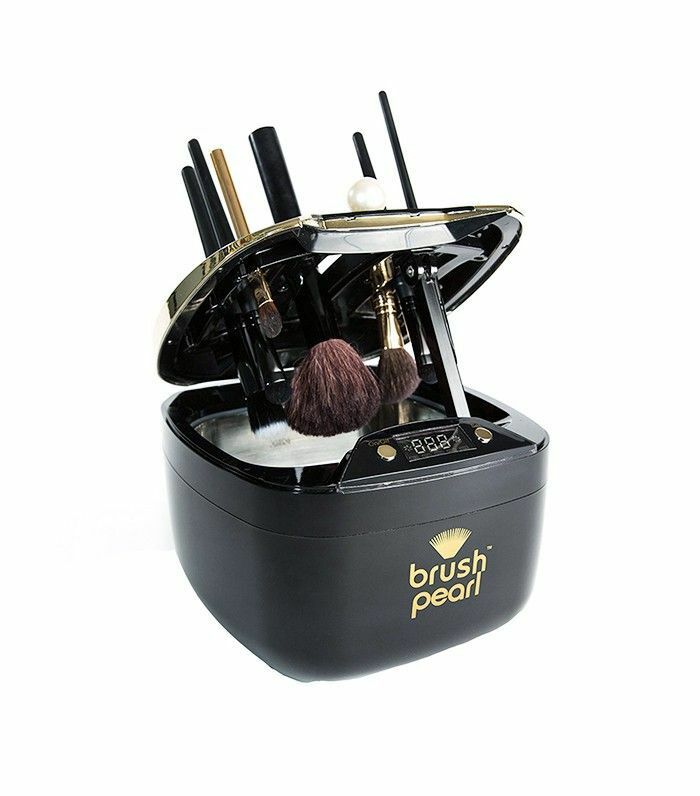 Just insert your brushes, let the Brush Pearl cleanser work its magic, and come back to cleaner, better-performing tools. 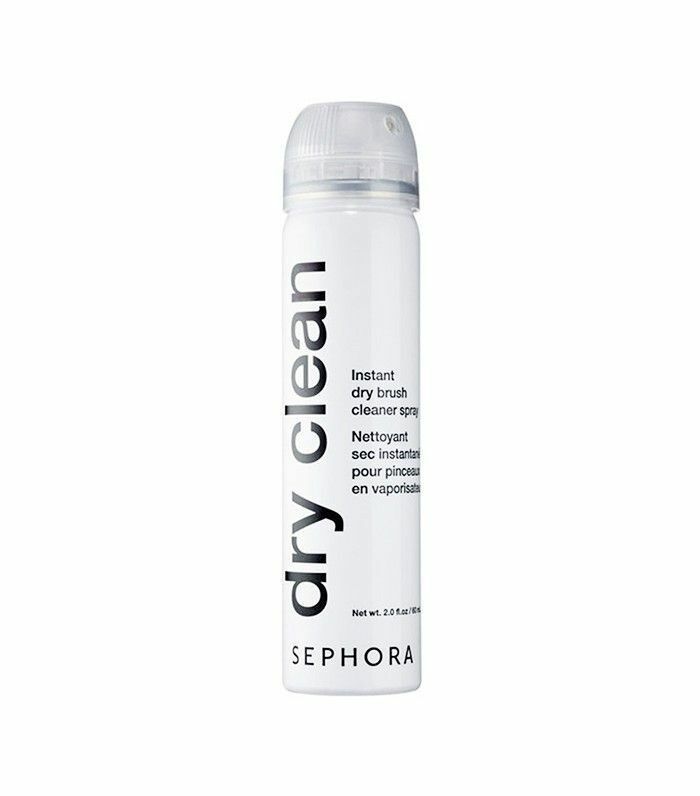 Infused with lavender and citrus extract, this cleansing spray will leave your brushes squeaky-clean and fresh-smelling. It dries fast, too, so you can spritz, wipe, and forget about it. Working with a couple of different eye or lip colors at once? Dip your brush into this dry sponge that removes color in a flash so you can continue using the same brush while you swap colors quickly. Just remember to clean out the sponge every so often to remove the excess pigment. What's your favorite makeup brush, and which products do you like to use it with? Sound off below!